When Vance Zarrella appeared before a judge in Meriden on November 13th, his sweatshirt hood was pulled up hiding most of his face. His public defender told the court that Zarrella didn’t want to show his face in front of our camera. He was there because his ex-wife, Charlotte Ayers, says Zarrella won’t leave her alone despite an order of protection. Ayers says the contact started shortly after her Zarrella was released from jail in March. "I get a little ding on my cell phone at 2 o'clock in the morning,” said Ayers. “He's contacting me on Facebook. He wants to add me as a life event for him." That life event was their four year marriage that Ayers describes as rocky and, at times, scary. "If I didn't listen and I started to walk away, he would pull my hair,” said Ayers. “I wear my hair in a ponytail quite often. He would pull the back of my hair." Zarrella spent time in jail before they were married, convicted of assault, threatening, and violating an order of protection in another case. He was still on probation when Ayers says one of their fights went too far. “Got right in my face and said 'I'm a very scary person. You should be afraid of me’,” said Ayers. “And that's when I went to the police, because I consider that a threat." That violation of probation sent Zarrella back to jail in March of 2012. While behind bars, he sent his ex-wife more than a dozen letters, each of them several pages long, apologizing and pledging his love. Ayers complained to Wallingford Police, and Zarrella was warned by the Department of Correction to stop. Zarrella was released in March of 2013. Ayers says it was a few weeks later when she discovered a Facebook page called ‘Ayers Zarella’ - her maiden name and his last name. She found pictures of her, her son, and messages directed at Charlotte and her boyfriend. Again, she called Wallingford Police. "I said this is a violation of the restraining order. You need to bring him in,” said Ayers. “They said they can't prove that it was him that was sending it." Wallingford Police told the Troubleshooters they spent a lot of time working on this case, but declined to comment on it because it is still being prosecuted. In broader terms, they pointed out that cases involving social media can be difficult to prove. Criminal Justice Professor Leila Dutton with the University of New Haven says it’s challenging for laws and law enforcement to stay ahead of technology. “There's always a chasm in terms of the laws that exist on the books and the technologies that perpetrators can use to stalk their victims," said Dutton. Dutton says making the case against someone for sending harassing messages requires a significant amount of time and police work, right down to proving the accused is the person who is at the keyboard or phone doing the typing. "Police, in terms of learning these technologies, learning what they mean, learning how to investigate them, learning how to get in them and get the records, they're two steps behind the stalkers," said Dutton. She also points out that obtaining warrants to get information from social media companies like Facebook is time intensive and often an uphill battle. A spokesperson for Facebook tells the Troubleshooters that they try to balance the needs of law enforcement with the privacy of its users. They also pointed us to their extensive policies and procedures in dealing with police. Domestic abuse victim advocates say social media is a growing concern as they try to protect their clients from potential harm. “Facebook, Twitter, social media has emerged even nationally as a sort of new mechanism where abusive individuals are able to stalk and harass and threaten in a new way," said Karen Jarmoc, Executive Director of the Connecticut Coalition Against Domestic Violence. Jarmoc works closely with Mike Lawlor, Under Secretary for Criminal Justice Policy and Planning. 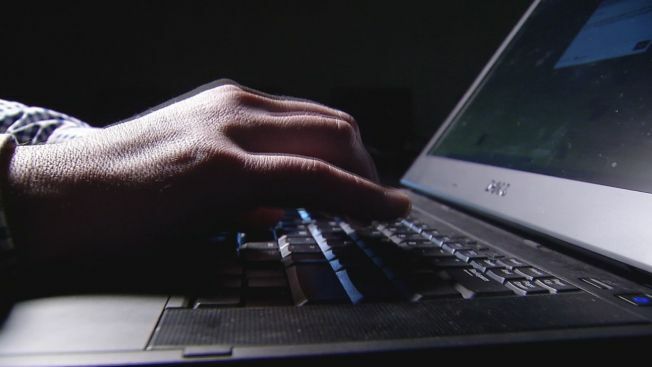 Both Lawlor and Jarmoc expect state lawmakers in Connecticut to revisit stalking and harassment laws next year to keep up with changing technology, despite the fact that the state has some of the toughest laws in the country. But Lawlor says all players involved, including police, prosecutors, judges and lawmakers need to be on the cutting edge to properly protect victims. “We need to make sure our laws are state of the art. We need to make sure our law enforcement and victim advocates are up to speed on what options they have available to them and how to treat cases like this," said Lawlor. The Troubleshooters reached out to Zarrella through his public defender for a comment. So far he has declined our request. Zarrella was arrested in September after he allegedly called Charlotte several times at her job. Charlotte Ayers says all she wants from her ex-husband is to be left alone. "He's all about ruining my life in one way for another, and I'm scared for the people that I love,” said Ayers. “I'm scared for myself, and I just need something to be done about it." The Connecticut Coalition Against Domestic Violence has suggestions on how you can limit your exposure to harassment, click here for a link.